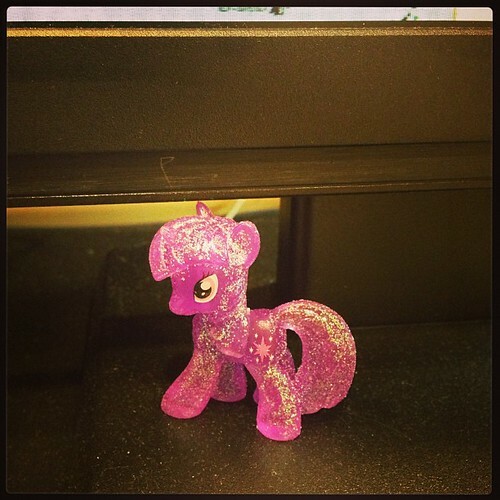 I now have a Twilight Sparkle on my desk at work. Yeah, I’m kind of a brony. And by kind-of, I mean, I adore the show. It’s cute, it’s fun, it’s quick and entertaining. I love all of the characters and most of the episodes. My roommates and I collect the blind-box My Little Pony figurines and it’s becoming a serious problem. This is the first repeat I’ve gotten since December (we normally trade our repeats so everyone has an even collection) and she’s perfect for manning my desk when I’m not around. While it’s not exact, the pinata turned out better than I expected, and was a huge hit at the surprise party I helped throw last weekend. The hardest part was probably cutting the thick, heavy-duty cardboard into the shape of my state. I’m going to have to make a smaller one, just for myself. 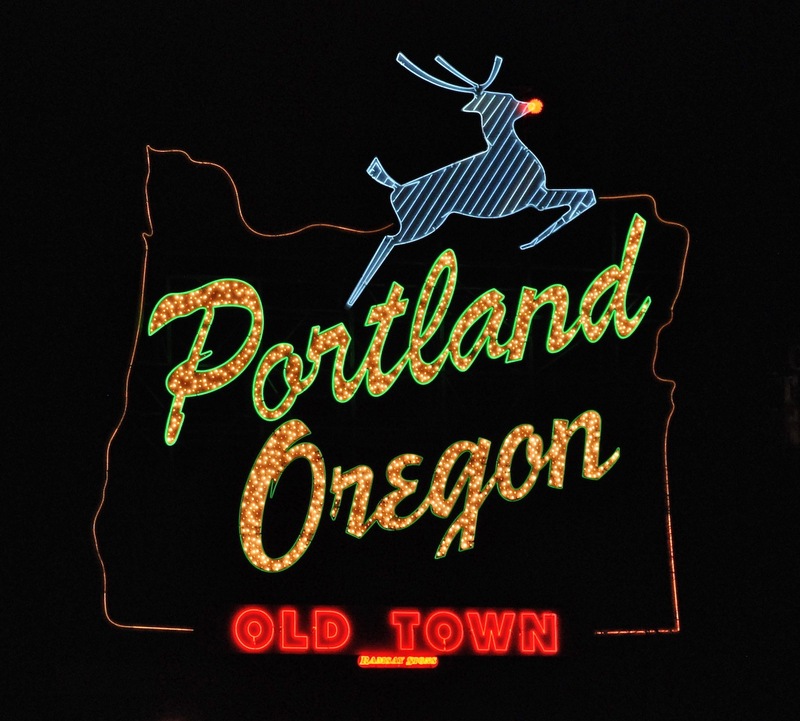 I love Portland paraphernalia, and I love stags and pinatas. It’s a perfect mix of some of my favorite things! It’s also an excuse to cut more letters out of that fantastic gold paper. I don’t even mind getting covered in glitter because of it! Frumples has a twitter account. 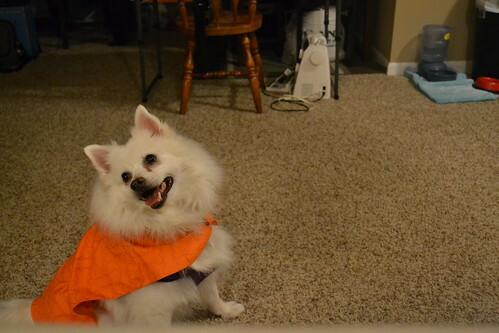 We’ve discussed Frumples, the dog who hates me, in the past. And I’m pleased to announce that my roommates and I are serious crazy people and also love his little hateful heart so much we made him a twitter. Follow at your own doggy, hate-inducing risk. 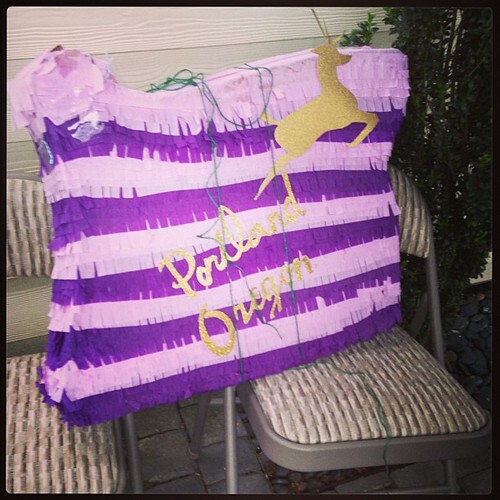 That pinata turned out awesome!